A captivating highland romance, Bride of a Scottish Warrior is a fun and refreshing read. 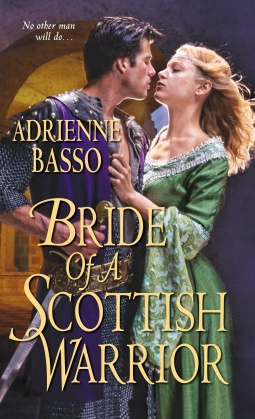 For some reason I had forgotten my love a good Scotsman, but Adrienne Basso’s bold and loveable Sir Ewan Gilroy brought me back. There’s something wonderful about the highland setting – a place where the elite still have to work to build their keeps and protect their lands. In Bride of a Scottish Warrior, Ewan has gained new lands and needs to find perfect wife to help him rebuild. A natural storyteller, Basso’s writing is natural and the characters are captivating. I highly recommend this for any historical romance reader.